Amal El-Mohtar won the Nebula, Locus and Hugo Awards in 2017 for her short story “Seasons of Glass and Iron,” and reviews books for NPR and the New York Times. 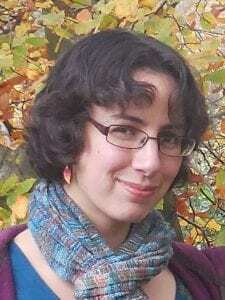 Her fiction and poetry have recently appeared in anthologies such as The Djinn Falls in Love & Other Stories and The Starlit Wood: New Fairy Tales, and in magazines such as Fireside, Strange Horizons, and Tor.com. She’s also the co-author, with Max Gladstone, of This Is How You Lose The Time War, a novella forthcoming from Saga Press in 2019. She lives in Ottawa with her partner and two cats.